When you purchase a BD Transmission and Torque Converter package, you are getting a matched set that has been dyno tested together for ultimate performance, and reliability. Every transmission comes with BD’s own Heavy Duty pan that adds extra fluid capacity and case strength. 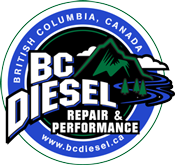 For towing, street or track, when it comes to a dependable transmission and converter that will stand up to your diesel’s power and torque demands, the clear choice is BD. Increase the durability of your drivetrain with BD's award winning heavy duty 47RH transmission (complete with billet input shaft), enhanced stall triple disc Torque Converter, and auxiliary transmission oil filter kit combo package for your 1994-1995 Dodge Ram Cummins 5.9L 4WD turbo diesel. A $2600.00 refundable core charge will apply. Increase the durability of your drivetrain with BD's award winning heavy duty 47RE transmission, enhanced stall Torque Converter, and auxiliary transmission oil filter kit combo package for your 1996-1997 Dodge Ram Cummins 5.9L 2WD turbo diesel. Includes speed sensor and speedo head. A $2600.00 refundable core charge will apply. Increase the durability of your drivetrain with BD's award winning heavy duty 47RE transmission (complete with billet input shaft), enhanced stall triple disc Torque Converter, and auxiliary transmission oil filter kit combo package for your 1996-1997 Dodge Ram Cummins 5.9L 2WD turbo diesel. Includes speed sensor and speedo head. A $2600.00 refundable core charge will apply. Increase the durability of your drivetrain with BD's award winning heavy duty 47RE transmission, enhanced stall Torque Converter, and auxiliary transmission oil filter kit combo package for your 1996-1997 Dodge Ram Cummins 5.9L 4WD turbo diesel. A $2600.00 refundable core charge will apply. Increase the durability of your drivetrain with BD's award winning heavy duty 47RE transmission (complete with billet input shaft), enhanced stall triple disc Torque Converter, and auxiliary transmission oil filter kit combo package for your 1996-1997 Dodge Ram Cummins 5.9L 4WD turbo diesel. A $2600.00 refundable core charge will apply. Increase the durability of your drivetrain with BD's award winning heavy duty 47RE transmission, enhanced stall Torque Converter, and auxiliary transmission oil filter kit combo package for your 1997-1999 Dodge Ram Cummins 5.9L 2WD turbo diesel. Includes speed sensor but not a speedo head. A $2600.00 refundable core charge will apply. Increase the durability of your drivetrain with BD's award winning heavy duty 47RE transmission (complete with billet input shaft), enhanced stall triple disc Torque Converter, and auxiliary transmission oil filter kit combo package for your 1997-1999 Dodge Ram Cummins 5.9L 2WD turbo diesel. Includes speed sensor but not a speedo head. A $2600.00 refundable core charge will apply. Increase the durability of your drivetrain with BD's award winning heavy duty 47RE transmission, enhanced stall Torque Converter, and auxiliary transmission oil filter kit combo package for your 1998-1999 Dodge Ram Cummins 5.9L 4WD turbo diesel. A $2600.00 refundable core charge will apply. Increase the durability of your drivetrain with BD's award winning heavy duty 47RE transmission (complete with billet input shaft), enhanced stall triple disc Torque Converter, and auxiliary transmission oil filter kit combo package for your 1998-1999 Dodge Ram Cummins 5.9L 4WD turbo diesel. A $2600.00 refundable core charge will apply. Increase the durability of your drivetrain with BD's award winning heavy duty 47RE transmission, enhanced stall Torque Converter, and auxiliary transmission oil filter kit combo package for your 2000-2002 Dodge Ram Cummins 5.9L 2WD turbo diesel. A $2600.00 refundable core charge will apply. Increase the durability of your drivetrain with BD's award winning heavy duty 47RE transmission (complete with billet input shaft), enhanced stall triple disc Torque Converter, and auxiliary transmission oil filter kit combo package for your 2000-2002 Dodge Ram Cummins 5.9L 2WD turbo diesel. A $2600.00 refundable core charge will apply. Increase the durability of your drivetrain with BD's award winning heavy duty 47RE transmission, enhanced stall Torque Converter, and auxiliary transmission oil filter kit combo package for your 2000-2002 Dodge Ram Cummins 5.9L 4WD turbo diesel. A $2600.00 refundable core charge will apply. Increase the durability of your drivetrain with BD's award winning heavy duty 47RE transmission (complete with billet input shaft), enhanced stall triple disc Torque Converter, and auxiliary transmission oil filter kit combo package for your 2000-2002 Dodge Ram Cummins 5.9L 4WD turbo diesel. A $2600.00 refundable core charge will apply. Increase the durability of your drivetrain with BD's award winning heavy duty 48RE transmission, matched with an enhanced stall billet Torque Converter, plus an auxiliary transmission oil filter kit combo package for your 2003-2004 Dodge Ram Cummins 5.9L 2WD turbo diesel. A $2600.00 refundable core charge will apply. Increase the durability of your drivetrain with BD's award winning heavy duty 48RE transmission (complete with billet input shaft), matched with an enhanced stall billet triple disc Torque Converter, plus an auxiliary transmission oil filter kit combo package for your 2003-2004 Dodge Ram Cummins 5.9L 2WD turbo diesel. A $2600.00 refundable core charge will apply. Increase the durability of your drivetrain with BD's award winning heavy duty 48RE transmission, matched with an enhanced stall billet Torque Converter, plus an auxiliary transmission oil filter kit combo package for your 2003-2004 Dodge Ram Cummins 5.9L 4WD turbo diesel. A $2600.00 refundable core charge will apply. Increase the durability of your drivetrain with BD's award winning heavy duty 48RE transmission (complete with billet input shaft), matched with an enhanced stall billet triple disc Torque Converter, plus an auxiliary transmission oil filter kit combo package for your 2003-2004 Dodge Ram Cummins 5.9L 4WD turbo diesel. A $2600.00 refundable core charge will apply.